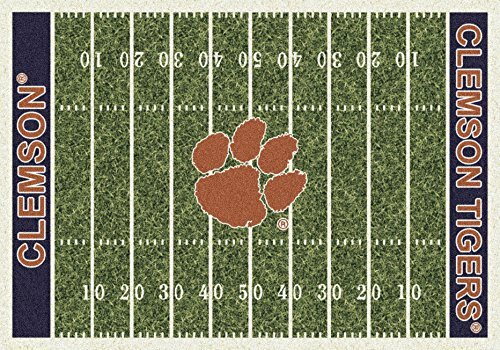 NCAA Home Field Rug - Clemson Tigers, 5'4" x 7'8"
NCAA Home Field Rug - Clemson Tigers, 5'4'' x 7'8'' by Millilken at J State Tigers. Hurry! Limited time offer. Offer valid only while supplies last. NCAA Home Field Rug - South Carolina Gamecocks, 3'10" x 5'4"
NCAA Home Field Rug - Ohio State Buckeyes, 5'4" x 7'8"
NCAA Home Field Rug - Washington State Cougars, 3'10" x 5'4"
Fanmats Ncaa College Sports Team Athletic Outdoor Tailgating Party Area Rug North Carolina State Floor Ulti-Mat 60"x96"
NCAA Home Field Rug - Maryland Terrapins, 3'10" x 5'4"